In both Monday’s post on creating inviting living spaces and last week’s ideas for styling a bedroom, I shared that adding a statement chair is a great way to refresh your space. An additional chair in a unique shape or material not only provides extra seating but also adds style. Today, I’m sharing a few seating arrangements in living rooms I’ve designed and a round up of 21 amazing chairs that make a statement. Browse these favorites and then make sure to head to my Statement Chair Shop for more ideas. Enjoy! In my Cadiz Project living room, I chose a wood-framed midcentury-style chair to complement the rest of the furniture and to add warmth to the neutral space. I placed it in the corner to round out the seating without obstructing the natural light from the window across from the couch. 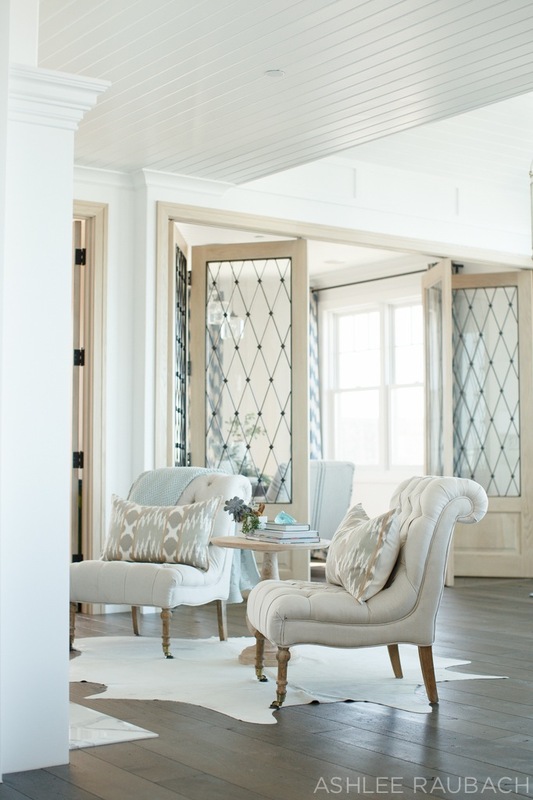 In this San Clemente Beach House, two tufted linen chairs in front of the fireplace provide a cozy nook for reading or chatting. In a large living room, additional seating in a corner makes good use of the space. 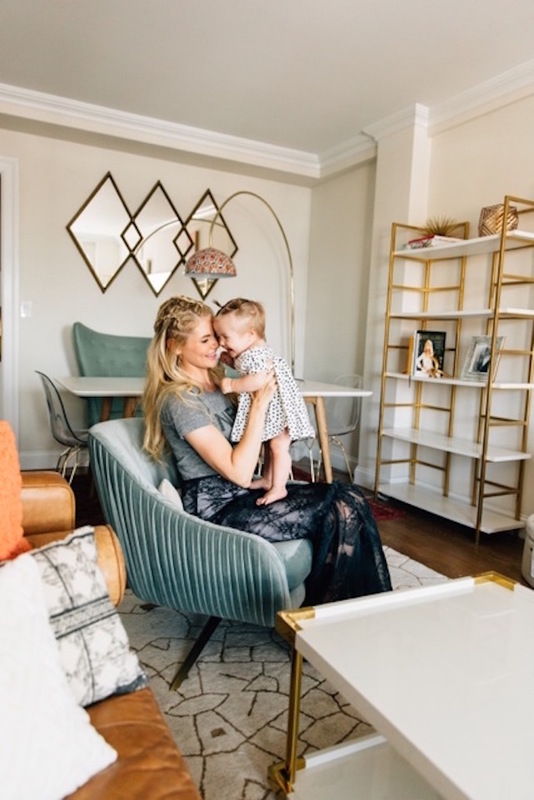 In Amber Fillerup Clark’s NYC living room, we selected a beautiful tucked velvet statement chair. The soft blue-green velvet is a pretty contrast to the structured leather sofa. In a small room, using a statement chair adds style and seating without taking up much space. Check out my Statement Chair Shop to view all my favorites! 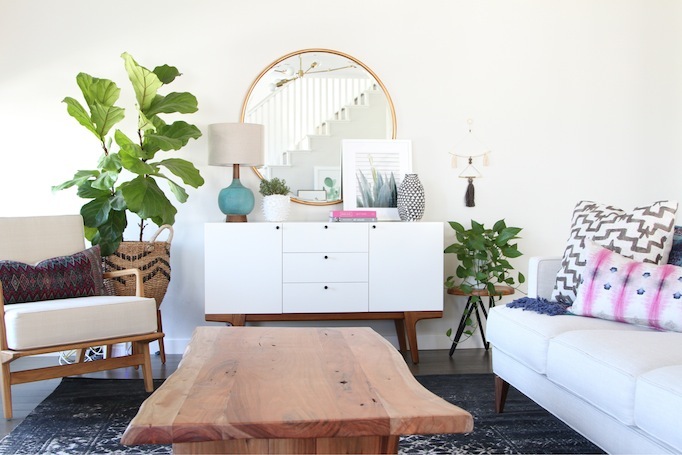 « 9 Interior Fall Updates on Sale! I saw the post for this article on IG and could not wait to hit up your website this evening. I love all the chairs, but my favorites link is not pulling up the chair. It’s the 18th chair if you count across (armless in a saddle color). It connects to WE, but I could not find the chair at all on their website. Thank you so much for the great post, and for helping me find what might possibly be my next purchase!